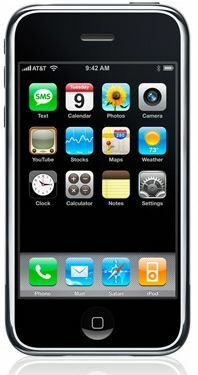 Apple today added new models of the iPhone and iPod touch which have double the memory. The iPhone now comes in a new 16GB model for $499, joining the 8GB model for $399. iPod touch now comes in a 32GB model for $499, joining the 16GB model for $399 and the 8GB model for $299. All iPhone and iPod touch models include the software enhancements announced last month, including the ability to automatically find your location using the new Maps application; create Web Clips for your favorite websites; customize your home screen and watch movies from the new iTunes Movie Rentals. The new 16GB iPhone is available immediately for a suggested retail price of $499 (US) through the Apple Store, Apple’s retail stores and AT&T retail and online stores. The 32GB iPod touch is available worldwide immediately for a suggested retail price of $499 (US) through the Apple Store, Apple’s retail stores and Apple Authorized Resellers. nice. Im sure that i cant use that much spaces. As the above said, for some customers. Anyway, this is good, now, we have more to choose. Im expecting the next new product. We are online wholesaler for unlocked gsm cell phones,Video Games, DJ equipments and accessories and they comes with one year international warranty. Our latest promo is BUY 1 get 10% discount and BUY 2 get 1 FREE!!! GOD BLESS AND HOPE A GREAT BUSINESS RELATIONSHIP. Nokia N95 Black 8GB…………$290us Dollars. Nokia N82 – black……………….$220us Dollars. Nokia 8800 Sapphire Arte….$300us Dollars. Nokia 8800 Carbon Arte…….$290us Dollars. Playstation 3 60GB Us Version…………$200us Dollars. Playstation 3 80GB Europe Version….$280us Dollars.